Instead of giving out store bought cards, try mixing things up with a handmade one. 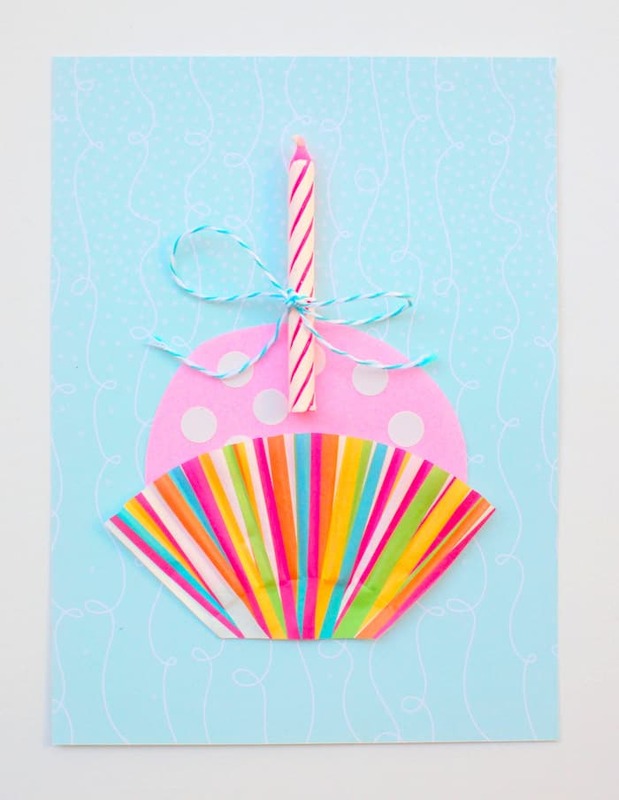 Isn’t this cupcake DIY birthday card super cute and fun? 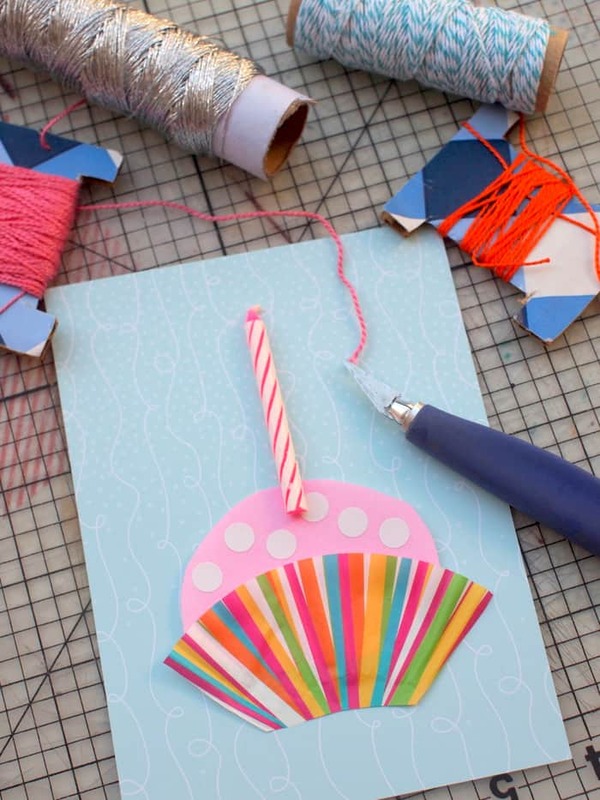 Looking for a cute handmade birthday card idea? Hi! It’s Leslie from Pink Stripey Socks. Our family has officially entered “birthday season.” It seems like everyone we know was born during Spring and Summer! Usually I give friends store-bought cards, but recently I tried mixing things up with a handmade one. 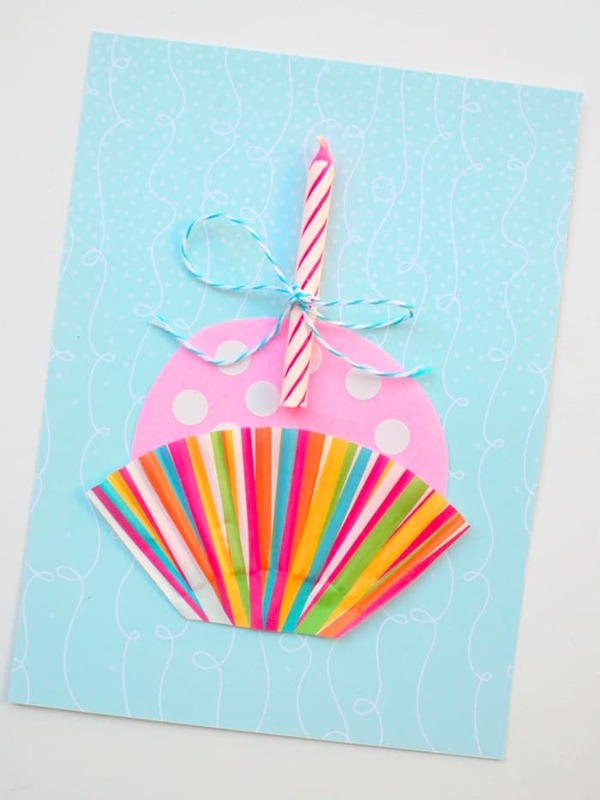 Isn’t this cupcake DIY birthday card super cute and fun? Step 1: Cut out a piece of cardstock to make a card. Step 2: Cut your cupcake wrapper in half. Press it down to and trim the edges until you have the cupcake bottom. 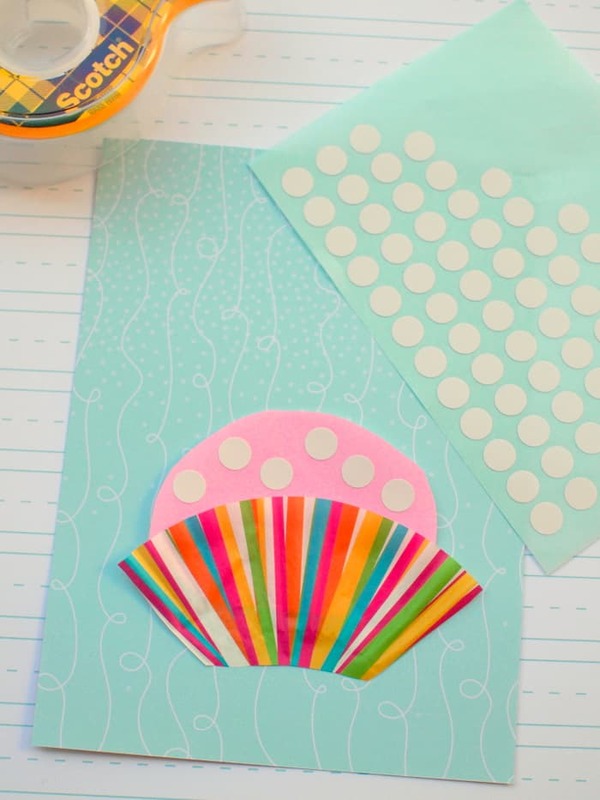 Cut out a matching cupcake top from colorful paper. 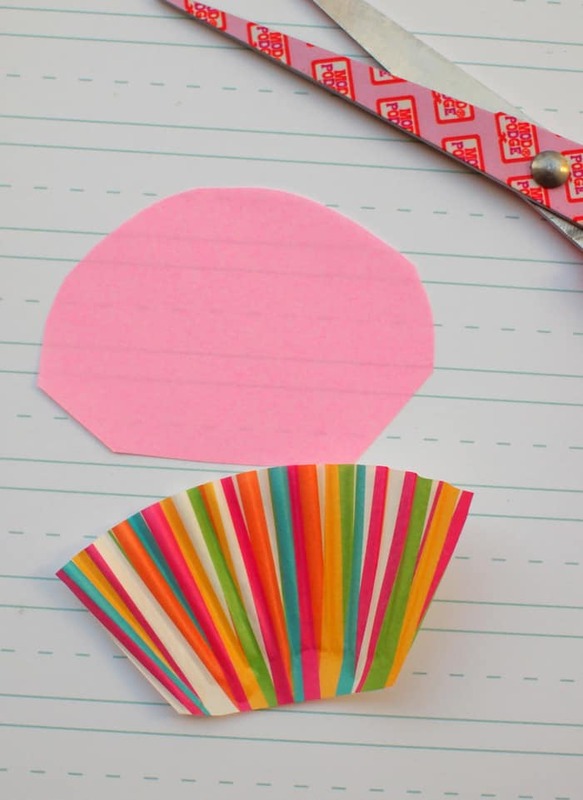 Step 3: Using double sided tape, attach your cupcake top and bottom to your cardstock. Add any cute decorations that you’d like. 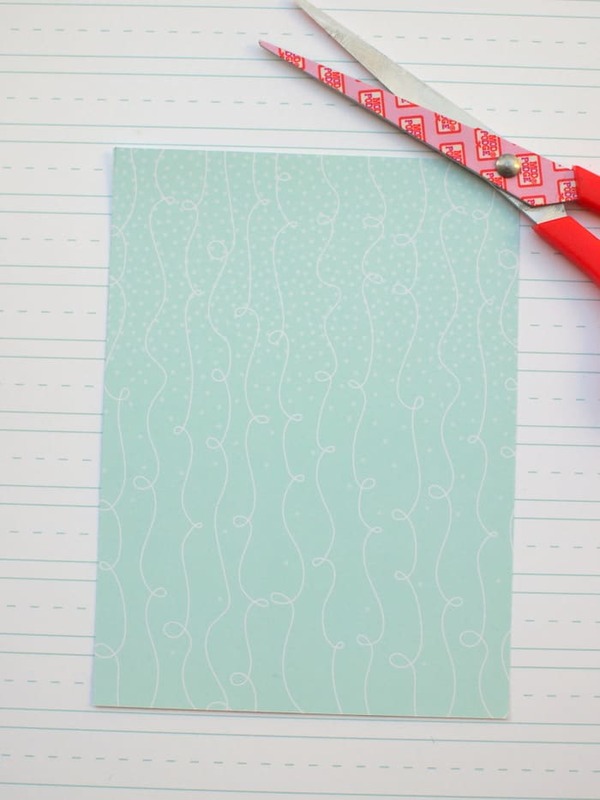 Step 4: Place your card onto a cutting mat. Place your candle on top of the card. Using your craft knife, make two tiny slits on both sides of your candle for your string. Step 5: Cut a piece of string and tie your candle on! 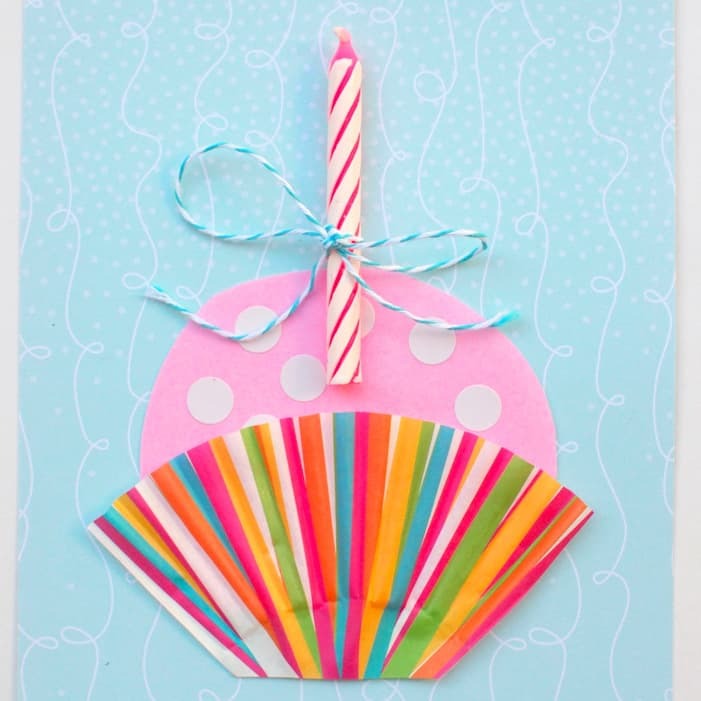 Tada – your DIY birthday card is done. Just write a special birthday message inside and you’re all set! Check out my blog, Pink Stripey Socks for more colorful and kid-friendly crafts! Or, find more creative inspiration on my Facebook, Instagram, and Pinterest accounts. 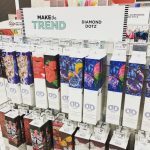 The Ultimate Guide to Diamond Dotz – Tips & Tricks! This card is so cute! 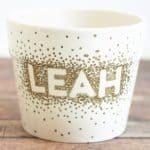 Thanks so much for sharing your method, I’ll totally be trying to make one of these soon!